WestCMR's warehouse stocks 150,000 surgical supplies at all times. WestCMR and Geo Group Staff in 2018. Surplus surgical supplies that sit unused in supply closets are a balance sheet nightmare for many hospitals and surgery centers. As a result of overly aggressive buying, product conversions, manufacturer return issues, and changes in surgeons' preferences, supply shelves often end up stocked deep with products that eventually expire and become trash. With each trip to the dumpster or landfill, money is lost, as is the chance for other hospitals and surgery centers to purchase first-rate, quality surgical supplies at a double-digit discount. Healthcare supply rebel WestCMR has transformed the surplus surgical supply marketplace. In turn, the company is empowering hospitals and surgery centers on both sides of the equation to improve their procurement practices. 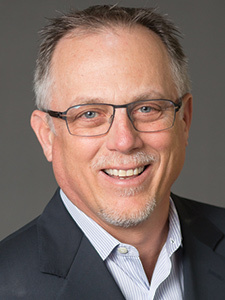 Founded by CEO Randy Ware in 1997, WestCMR helps hospitals and surgery centers save money, simplify inventory, prevent needless waste, and embrace innovative supply management. It’s estimated that upwards of 20% of surgical supplies purchased never get used. In 2012, the American healthcare system wasted $765 billion, according to the National Academy of Medicine. In today’s dollars, that’s $840 billion — or $266 billion more than the entire U.S. defense budget. For individual hospitals and surgery centers, this can account for hundreds of thousands of dollars in losses annually. The WestCMR Global family of businesses, including WestCMR, GeoSurgical, and Ware Consulting, is disrupting the surgical supply chain. Hundreds of hospitals, healthcare networks, and surgery centers experience the sustainable green alternative to industry-wide excess by selling off overstocked items to WestCMR. At the same time, more than 1,000 hospital and surgery center customers purchase high-quality, brand new surgical supplies at discounts of 10% to 25% from WestCMR. 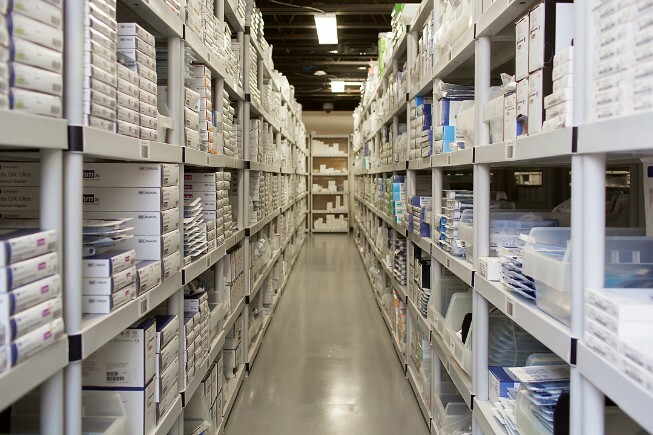 From its 27,000-square-foot, climate-controlled warehouse in Clearwater, Fla., WestCMR’s database of more than 30,000 products includes 15,000 SKUs and 150,000 pieces of in-date surgical supplies in stock at all times. It is time for CEOs and CFOs to welcome input from their operating room supply buyers, inventory clerks and others on the front-lines of surgical product management. Those managers likely are reticent — even embarrassed -— to mention that countless products lie aging in the stockroom. One conversation could launch a stockroom revolution that transforms these hidden assets from a blended cost of doing business into rediscovered black ink on the balance sheet. What’s more, supply liquidation is good for the environment. Hundreds of thousands of items, made mostly of plastics and metals that degrade slowly — if ever — will avoid the landfill. It’s green for the environment and for hospital finances. Whether a hospital is clearing unused product from its stockrooms, or a procurement manager is securing unopened product at a deep discount off the original price, WestCMR has changed the way the healthcare industry thinks about buying and selling surgical supplies. When WestCMR was named a Becker’s Hospital Review “150 Great Places to Work” for the fifth year running in 2018, the award further validated the model that CEO Randy Ware created over two decades ago. The privately-owned company provides its 60 employees a state-of-the-art workplace, complete with a cutting-edge fitness center, kitchen, and breakrooms with waterfront lake views. Employees enjoy profit-sharing and 401(k) plans, robust health insurance, PTO, as well as VTO, which compensates employees who volunteer with area charities. WestCMR is a philanthropic partner in the communities it serves. The company contributes 1% of revenues — $200,000 in 2018 alone — to charities that include The Children’s Dream Fund, Feeding America, and the National Pediatric Cancer Foundation. During the first half of October, WestCMR donated 5% of all sales to the victims of Hurricane Michael. Ware also strongly believes in supporting students across the community, and he encourages today’s youth to follow in his entrepreneurial footsteps. 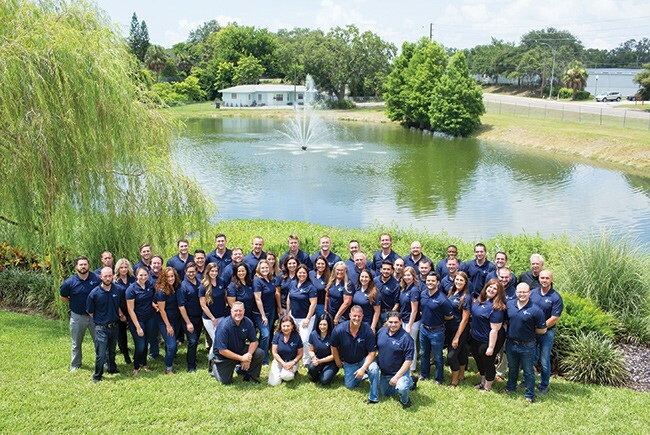 The company’s College Connect Program provides student internships and actively recruits full-time employees from Florida universities. Senior employees then mentor interns and young associates through the company’s supportive growth culture. Upholding the Ware family legacy, WestCMR’s corporate culture of social responsibility, sustainability, and environmentally sound practices was created with a vision of making work and the earth better. Spearheading the industry for more than 22 years, the future looks brighter than ever for WestCMR. TIP 1 Before product expiration or liquidation, review existing overstock inventory. TIP 2 Landfills are no place for usable “expensive” overstock medical supplies. Call WestCMR to liquidate responsibly, and sell/monetize unwanted, in-date inventory. TIP 3 For deep discounts off manufacturer pricing in any quantity (“eaches”), buy new, in-date supplies from WestCMR with no minimums, no contracts and no stress. If you’re a CEO, a CFO, or a supply or materials manager who’s ready to challenge the status quo and liquidate thousands of aging products or buy needed supplies at deep discounts — and bolster your bottom line in the process, contact Randy Ware rware@westcmr.com or learn more at WestCMR.com.